12 glasses, pen, paper, Spirits SAT (yes, it's different). A basic overview of the world of spirits and the marketing and distribution forces surrounding it. Hang on. Basic? Is that fair? Actually, I think it is. Granted, I do spend most of my waking life in the presence of 40+ abv distillates, so may be rather at an advantage in that respect. However, by definition anyone on this course must have attended (and passed) level 3 (advanced) already so the technical aspects of the day should be easily understood. A lot of time was given to global market data rather than production and provenance, but as I stated in my previous post (and no doubt will do so again in my next one), you simply can't expect to be spoon-fed the knowledge required to pass the exams in these lectures. 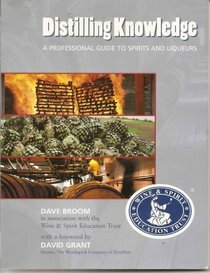 There's a whole book ('Distilling Knowledge') to accompany this unit which is a fantastic collection of information on the subject - and the next revision promises to be better yet, once they've worked out some of the gremlins lurking in the pages. 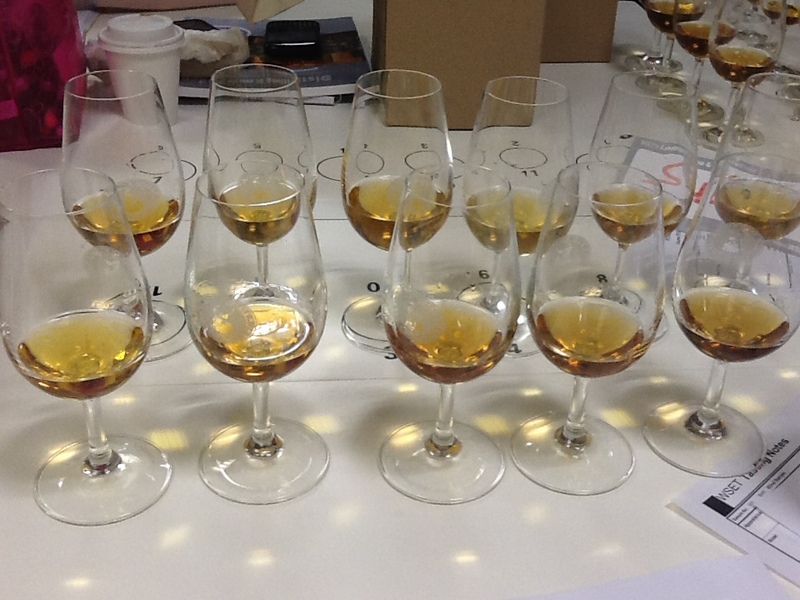 On the day there is an incredible amount of tasting - at one point I had eleven whiskies lined up in front of me. Note, I am neither requesting nor expecting your sympathy here. Overall, it was a big thumbs up for the session which focused on spirit tasting technique, distillation methods (pot / continuous), rum and whisk(e)y. I sensed the frustration of the lecturer (Mike Walpole) not being able to delve deeper into a subject he is clearly both knowledgeable and passionate about, but I've said it before and I'll say it again: go to taste and to develop understanding, not just to be told all the answers! I'm away for day 3, so the next entry will skip directly to day 4.